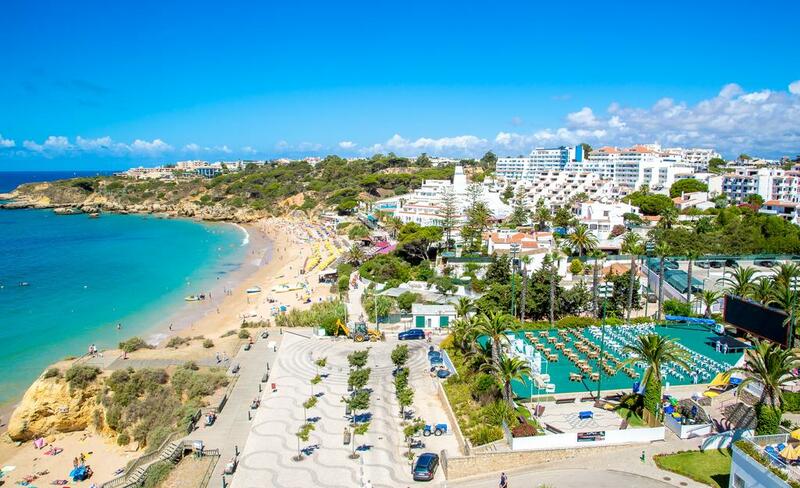 Muthu Clube Praia da Oura is a perfectly positioned beach front hotel on the golden sands of Oura beach of Albufeira in the Southern Algarve, Portugal. The hotel is 40 minutes’ drive from Faro Airport and just over 1.9 mi from the Old Town Center of Albufeira. 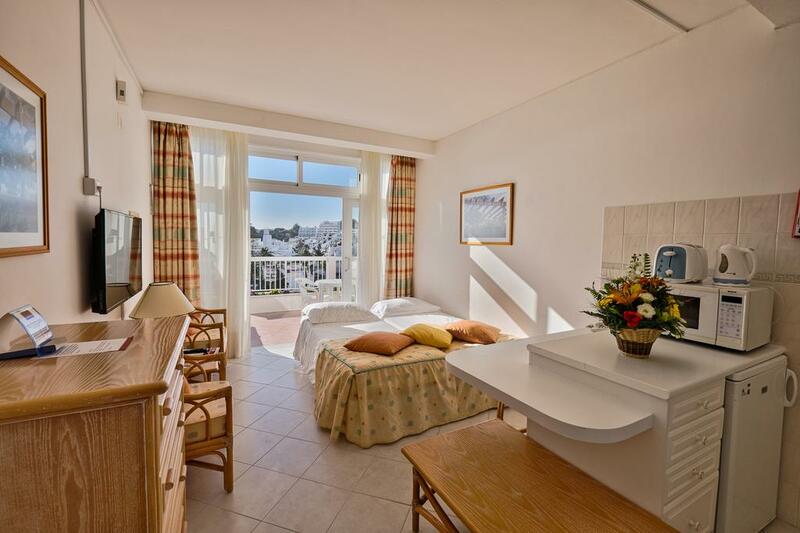 All apartments at the Clube Praia da Oura feature an private bathroom, a seating area with satellite TV and a private furnished balcony with views over either the Atlantic Ocean, swimming pools, or gardens. The hotel has a main restaurant called Jac’s where serves an à la carte menu of international dishes. There are also four great bars which offer a varied choice of entertainment, from karaoke to magic shows as well as live bands, singers, cabaret shows and discos. 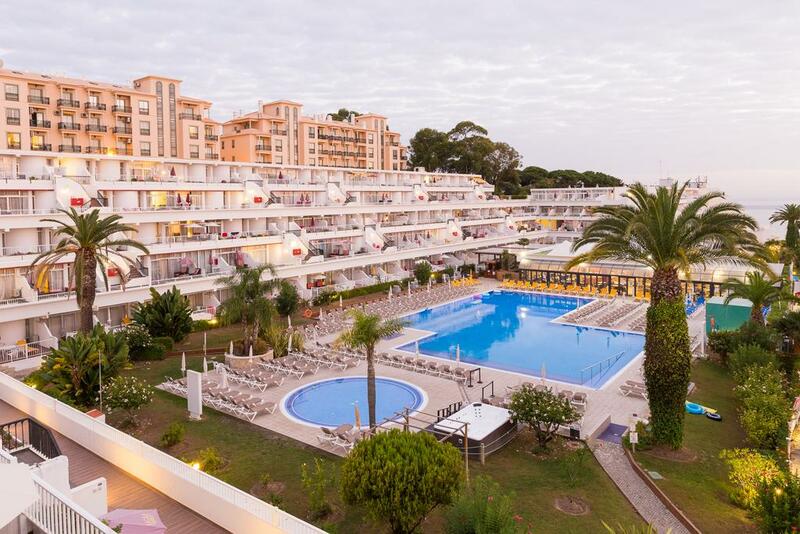 Muthu Clube Praia da Oura also features two outdoor swimming pools surrounded by comfortable sun loungers and parasols, along with an outdoor sauna and four Jacuzzis.